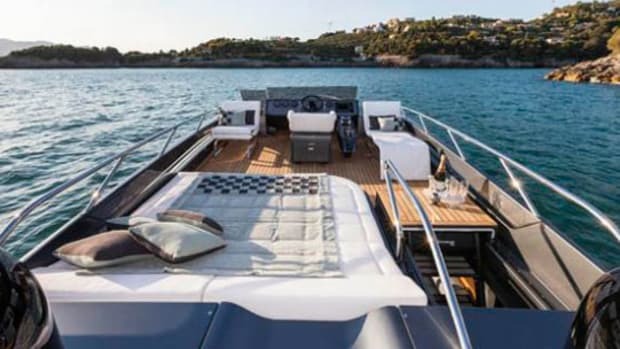 It&apos;s abundantly clear that San Juan Yachts has found a look and a style to stay with. 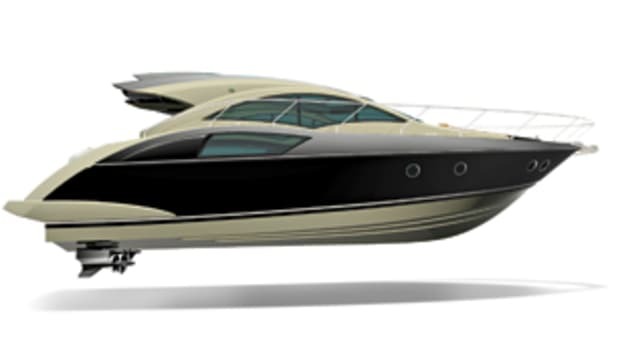 Each model, from the 30-foot Express to the 48-foot Fly Bridge, retains the distinctive air of the original San Juan 38. 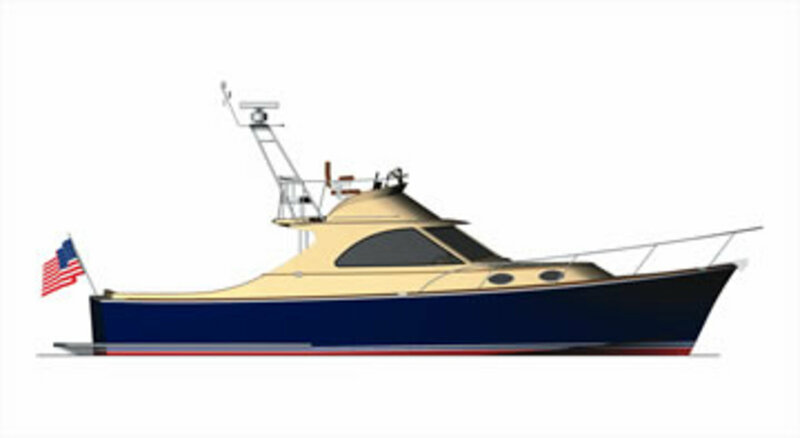 So it’s no surprise that the new 40-foot Fly Bridge adheres to the same proven concept: handsome lobsterboat styling with gently sweeping sheerline, modest deckhouse, and a spacious, open cockpit. What is a bit surprising is the flying bridge perched atop the deckhouse. 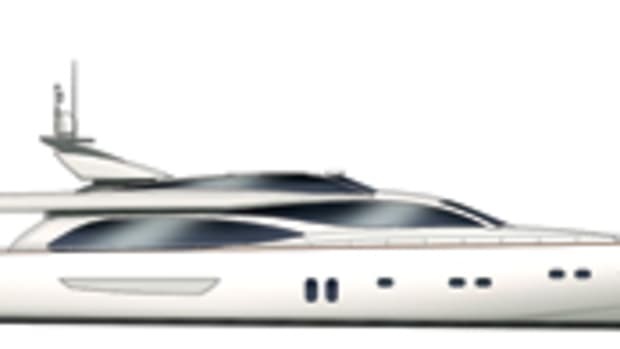 To blend with the yacht’s overall proportions, the bridge is compact. Just big enough for Stidd helm and companion seats, with a benchseat behind for two or three guests. In truth, it’s bigger than it appears because it’s rimmed by stainless steel rails rather than by full fiberglass panels, but sunbathers looking to stretch out should stick to the roomy sunpads atop the engine boxes down in the cockpit. 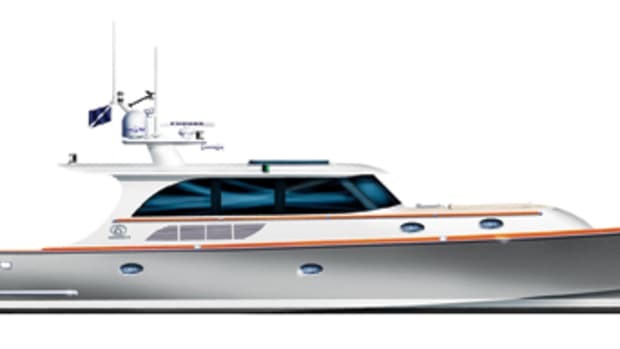 While the 40 FB retains the familiar San Juan look, she also incorporates a host of changes. 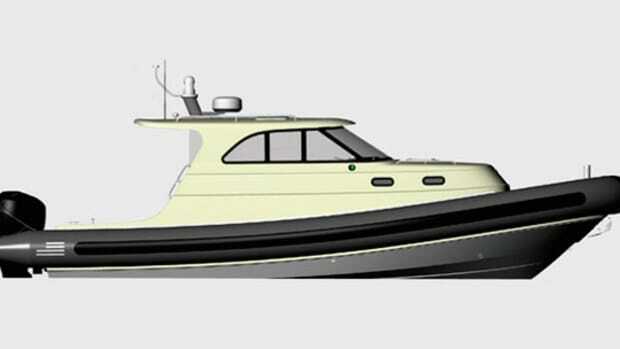 For starters, the pilothouse is a bit longer (to accommodate the bridge), so the side windows are bigger, offering better visibility from the lower helm. More important, thanks to glass panels and a glass door to the cockpit, the pilothouse is now enclosed rather than open at the aft end, making it a fully climate-controlled space. 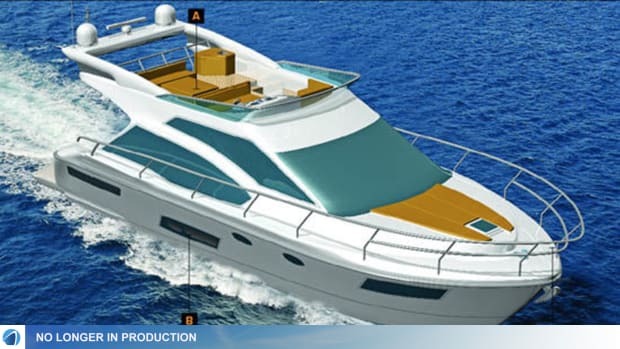 This, in turn, eliminates the need for a companionway door and allows for a portion of the overhead in the galley to be left open, creating an atrium effect on the lower deck. Last but not least, the San Juan 40 abandons the two-stateroom layout of the 38 in favor of just one stateroom with a centerline, walkaround queen berth in the bow, and a roomy head with separate shower enclosure on the starboard side. 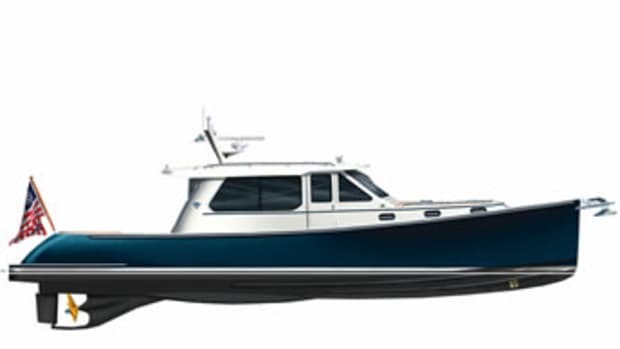 Like other San Juan models, the 40 FB is powered by twin Yanmar diesels, chosen for the favorable power-to-weight ratio they offer. Placement of the engines under the forward end of the cockpit should give her good fore and aft balance, and long prop tunnels at the stern reduce draft while improving efficiency. 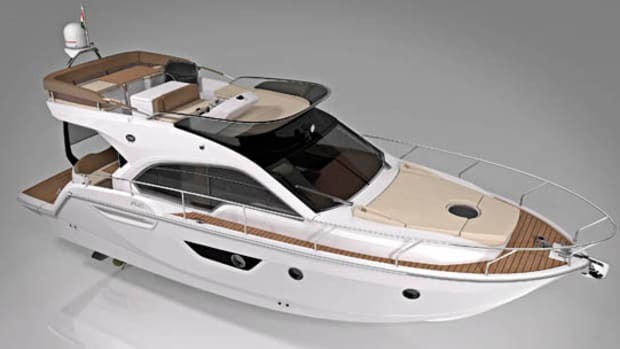 With standard 380-hp engines, the 40 FB should cruise at about 30 knots. 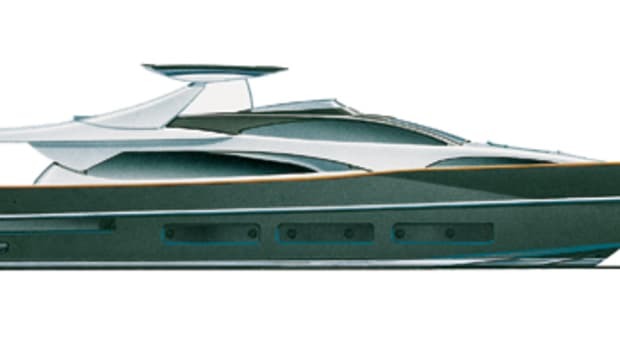 Optional 480-hp Yanmars should boost that to a 33-knot cruise with a top speed around 36 knots.